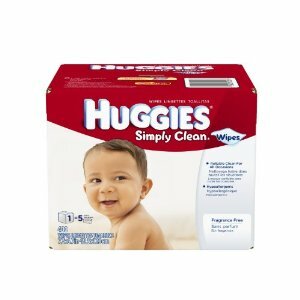 400 Count Huggies Simply Clean Baby Wipes just $7.95 + Free Shipping! Amazon has Huggies Simply Clean Fragrance Free Baby Wipes, 400 Count for just $7.95 shipped when you checkout with Subscribe & Save and you are a member of Amazon Mom! Cyber Monday Starts Now at Amazon! Up to 60% Off Combi @ Zulily! SaveMore: Get a Free Collapsible Water Bottle + Free Shipping for New Members!